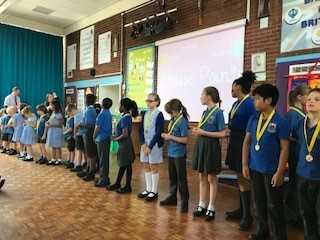 On Friday 20th July during our merit assembly we congratulated the children who have achieved two terms of 100% attendance – either the Spring and Summer or Autumn and Summer Terms. There were lots of children who had two terms of 100% attendance and they all received a medal – well done children! This entry was posted on Friday, July 20th, 2018 at 12:18 pm	and is filed under Announcements. You can follow any responses to this entry through the RSS 2.0 feed. You can leave a response, or trackback from your own site.